Music News: Jean-Michel Jarre Released Equinoxe Infinity Album! HomeMusicJean-Michel Jarre Has Released His Latest Album Equinoxe Infinity! Jean-Michel Jarre Has Released His Latest Album Equinoxe Infinity! Jean-Michel Jarre celebrates the 40th anniversary of the Equinoxe album with a brand-new album Equinoxe Infinity with 10 atmospheric tracks! Who does not know the second album Equinoxe by Jean-Michel Jarre from 1978, which was the sequel to the legendary Oxygene album. As with Oxygene 3, JMJ continues with Equinoxe and has released this week Equinoxe Infinity. 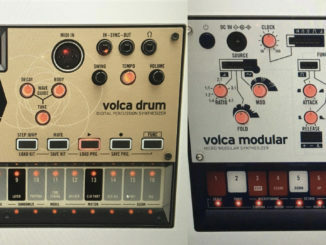 The album contains 10 brand-new tracks. After a few playing times I can say that I like the album. It’s very atmospheric and sounds very like a soundtrack from a movie. It is nice to note that Jean-Michel Jarre brought his typical sound of the past (70s / 80s) to the year 2018 by blending elements from the past with new ones. Unfortunately, it’s not on the level on the masterpieces of yesteryear and for me with 39 minutes a bit to short. Nonetheless a nice and harmonious complement to the first Equinoxe album. Of course, a must have and buy for all Jean Michel Jarre fans! Jean Michel Jarre Equinoxe Infinity is available now as CD, Vinyl, Box-Set, download and on all streaming services. Autony By Abigail Macfarlane Is An Unreliable Sequence Generator For iOS! 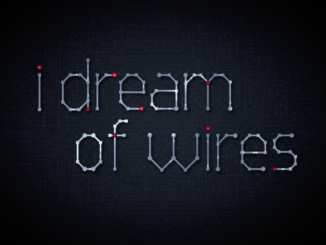 I Dream Of Wires – Documentary About Modular Synthesizers Is Now Available To Stream For Free! 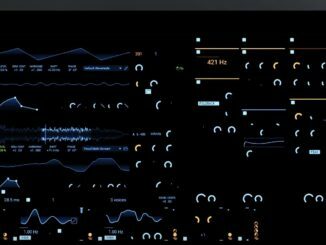 Kilohearts Teased New Phase Plant Synthesizer Plugin For PC & Mac!